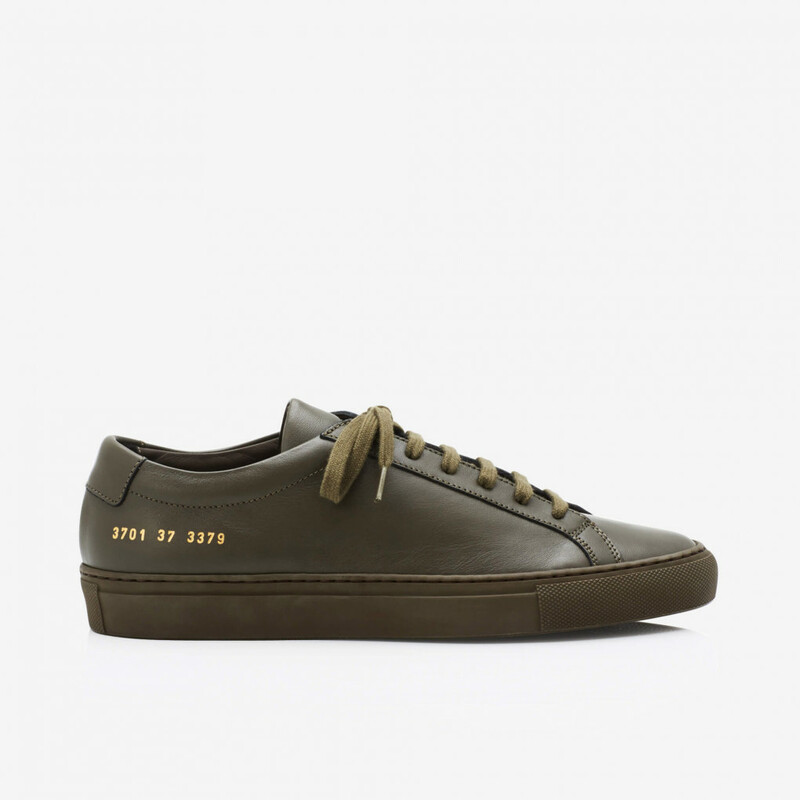 The army green version of Common Projects Achilles Low, stamped with the label's gold serial number. 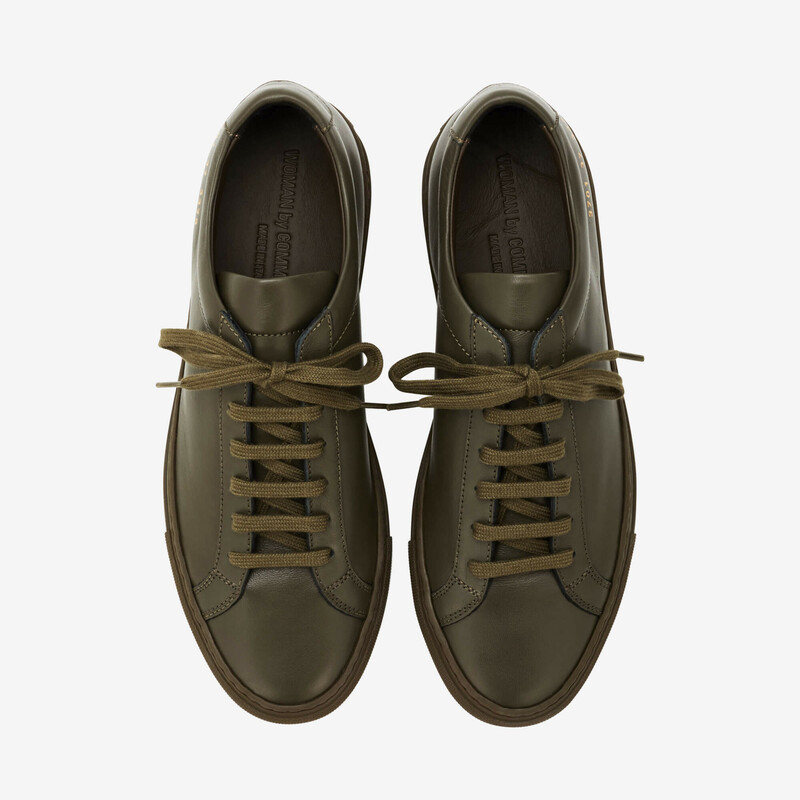 These sneakers have gained a cult status thanks to their minimalist design and superior construction. We advise you to take one size smaller than your regular Italian size. Please view the size guide for more info. 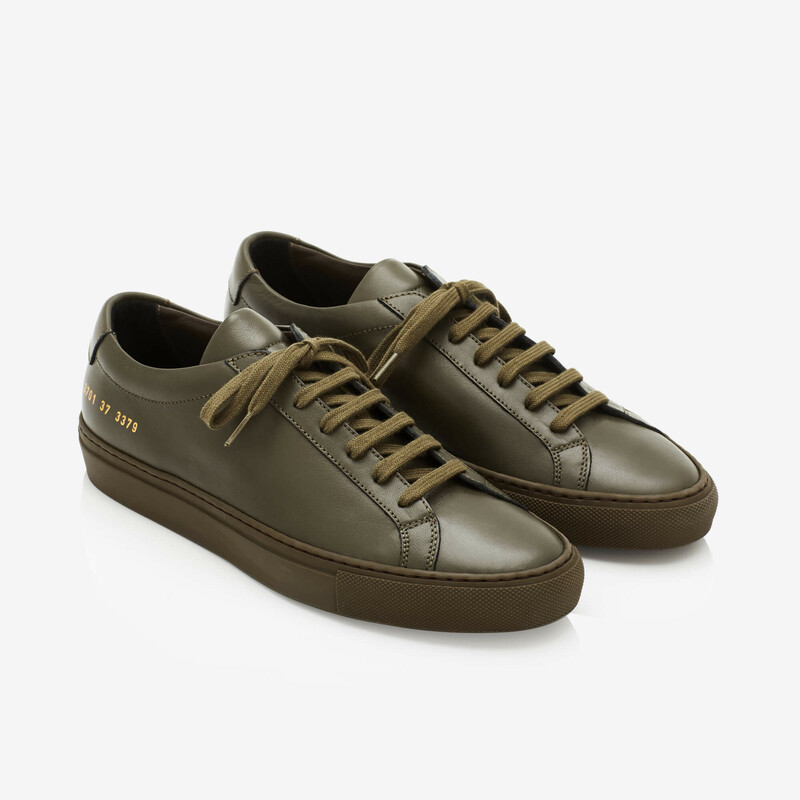 1 x Achilles Low Army Green was added to your shopping bag. 1 x Achilles Low Army Green was added to your wishlist.